San Francisco Regional Mensa (SFRM) is a chapter of Mensa, the international society for people who score in the top 2% on IQ tests. The goals of the group are to provide and encourage social and intellectual interaction. There are approximately 1800 members in the San Francisco Bay Area and we regularly schedule 80+ events each month. Mensa is for those who rejoice in the exercise of the mind. If you enjoy mental challenges and revel in the interplay of ideas, Mensa is an organization that will stretch your mind and expand your horizons. In September 2005, Mayor Gavin Newsom declared September 3-4, 2005 as San Francisco Regional Mensa Weekend. 1. What Type of People are Mensa Members? Mensans come from all walks of life. They range from three years to 102 years old. They represent both genders, all races, various professions and many beliefs. However they all have one trait in common: high intelligence. Mensans typically have many interests, and our Current Events page shows the more than 60 events we offer in the Bay Area every month. Webpages of individual San Francisco Mensa members can be found on our Members Page. 2. What is the Purpose of Mensa? 3. How Do I Meet Other Members? San Francisco Regional Mensa is one of the largest and most active groups in Mensa. It has some 2,000 members and offers more than 60 events every month. These range from meetings to guest speakers to parties. Have a look at our Current Events. Members can also attend regional and national gatherings providing further opportunities to meet other Mensans. The San Francisco group holds a Regional Gathering every Thanksgiving weekend that attracts some 150 Mensans from the Bay Area and from around the country. The US Annual Gathering is held on the July 4 weekend every year, with different Mensa chapters vying for the honor of hosting the AG each year. 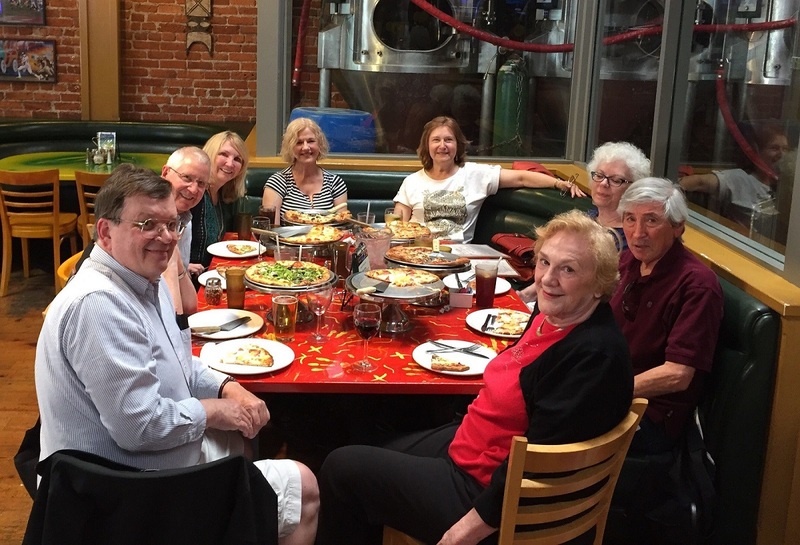 Mensans and their guests are welcome at any Mensa event worldwide, and Mensans often travel to another state or country coinciding with a Gathering there. American Mensa also offers a yearly Colloquium, a forum for any interested Mensan to explore, debate, evaluate and offer judgment on a major issue of long-range importance to society. In celebration of Mensa’s 60th anniversary, 2300 Mensans and guests attended the World Gathering 2006 at the Walt Disney World Resort in Florida. 4. What about Intellectual Stimulation? You’ll find a good ‘mental workout’ in the Mensa Bulletin, the national publication, and also on the American Mensa website. You may subscribe to the newsletters published by each of our 138 local chapters, and can share your opinions in letters and articles, as well as read other points of view. The Intelligencer, our local newsletter, carries a puzzle page as well as articles and letters from San Francisco Mensans. The main benefit of joining Mensa is, however, the interaction with other members. The more you get involved in activities that interest you, the more you will ‘get out’ of Mensa. 5. How Do Mensans Help Others? The Mensa Foundation sponsors scholarships, participates in research, rewards excellence in gifted research, and publishes the Mensa Research Journal. San Francisco Regional Mensa sponsors scholarships for local students. For more information, please email ourScholarship Coordinator. Our Gifted Children Resource Program provides information for gifted children. Project Inkslinger gives books to libraries that have experienced a natural disaster. San Francisco Regional Mensa volunteers get involved in community-oriented activities. We provide technical and telephone volunteers to KTEH, the San Jose Public Television station. 6. Are There Groups in American Mensa That Share My Interests? There are more than 150 national Special Interest Groups (SIGs) that range from Chocoholics to Monty Python and from SCUBA to X-Files. These groups are started by members who share a common interest. SIGs communicate regularly via newsletters and other forums. 7. Are There Other Benefits to Being a Mensa Member? Along with the intellectual and social activities for Mensans, members receive other special benefits. These are programs that offer special discounts to Mensa members and can be found in the Member Resource area of the American Mensa website (only accessible to members). 8. What Can Mensa Provide for My Gifted Child? The national Mensa website has information on our Gifted Children Programs and here are several local resources. For a more personal response to your questions please email our local Gifted Children Coordinator. 9. Can I Participate in Mensa Activities Worldwide? Mensa members are encouraged to enjoy any activity in any group in the United States and abroad. Local groups and their websites are listed on the Local Groups page of the American Mensa website. Mensa has more than 100,000 members worldwide. The International Mensa website lists contact information for all the national Mensas. 10. What If I Have More Questions? See ‘Join Mensa’ on the American Mensa website, or feel free to email our Membership Chair. 11. How Can I Contact the American Mensa Office?